Toyota Motor Engineering & Manufacturing is recalling 114,998 model year 2007-2011 Lexus GS350 & GS450h, model year 2006-2013 IS350, and model year 2010-2014 IS350C vehicles, equipped with 3.5L V6 2GR-FSE gasoline engines. The diaphragms in the fuel pulsation dampers may harden over time and develop cracks, possibly causing a fuel leak. Toyota will notify owners, and dealers will replace the fuel delivery pipe with a new pipe that has improved pulsation dampers, free of charge. The recall is expected to begin August 9, 2018. 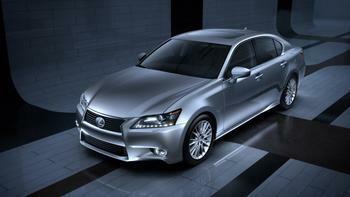 Owners may contact Lexus customer service at 1-800-255-3987. Toyota's number for this recall is JLF.